Then strike again, and again. Finally, celebrate an impressive state playoff victory over a strong, and dangerous, opponent. 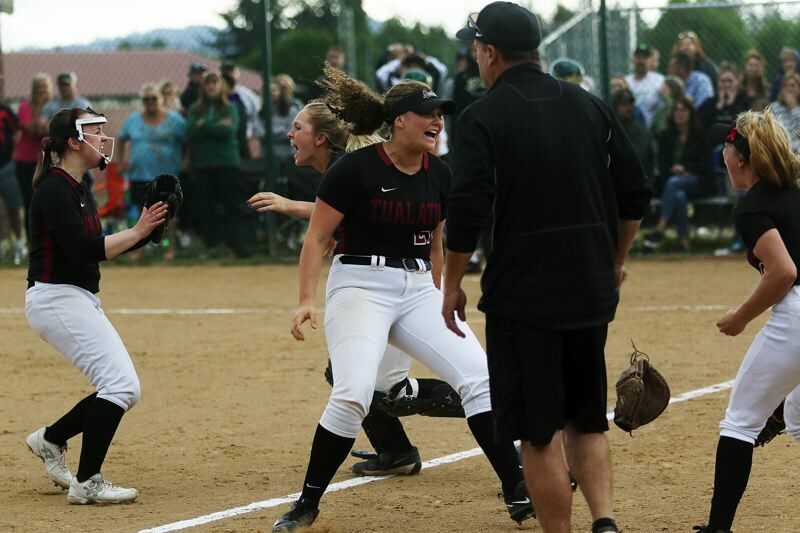 It all came together, mostly that way, for the Tualatin High School softball team. 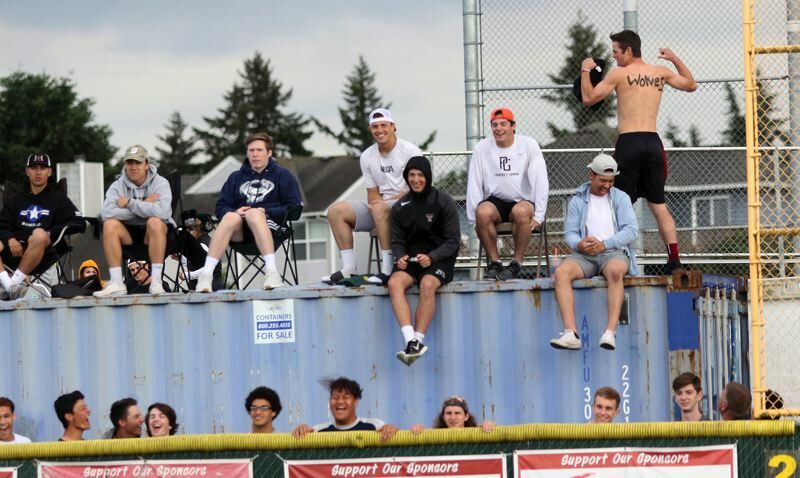 The unbeaten Timberwolves took another step on their postseason trek by powering their way to a hard-fought 4-2 win over Jesuit in an OSAA Class 6A state playoff quarterfinal contest, played in front of a large, loud crowd Friday at Tualatin High School. 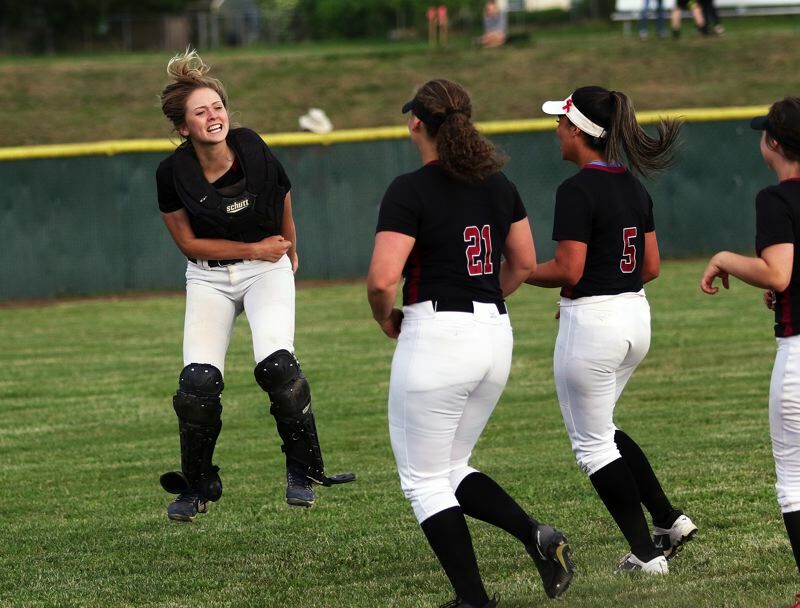 "I'm exhausted," said smiling Tualatin junior first baseman Emily Johansen, whose mammoth first-inning home run gave the Wolves an early lead in the contest. "Oh my gosh, this is big." 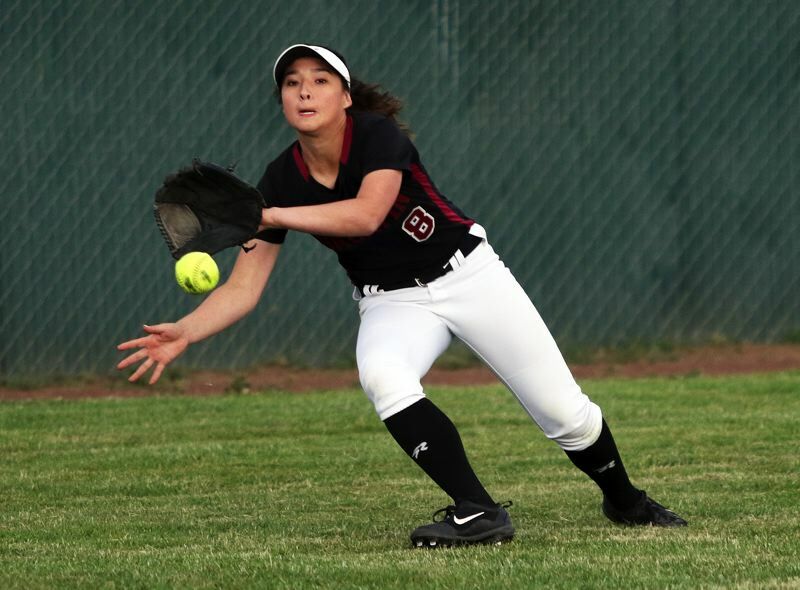 "It's my last year, so this feels so good," said Tualatin senior center fielder Zoe Olivera, who drove in one of the team's four runs. "We put it all out there on the field. We put our trust in each other. We're a big family." 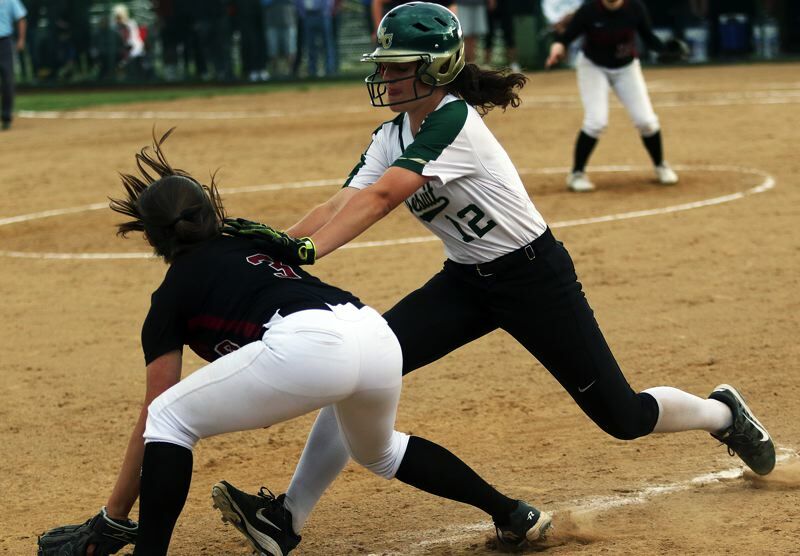 "We all played to keep our season going," said Timberwolf senior catcher Ella Hillier, who had two hits and scored a run in the victory. With the victory, Tualatin, the Three Rivers League champion, the No. 1 team in the final OSAA power rankings, and the No. 9 team in the country, according to the latest USA Today Super 25 rankings, improved to 28-0 on the season. The Wolves also advance to the semifinal round of the state playoff for the second straight season. They'll host Oregon City on Tuesday, starting at 5 p.m., in a semifinal contest. "I'm excited for that," Olivera said. "This was one of our toughest games," Hillier said. "Now, we feel like we can win it all." Jesuit, which shared the Metro League title and was the No. 8 team in the OSAA power rankings, finished its season with a final overall record of 21-9. "We had a great season. We worked hard and we worked together," said Jesuit senior third baseman Reyan Tuck, who doubled and scored a run in the quarterfinal contest. "We started out struggling in California, but we came back and went all out, especially in Metro. It was all of us together, working as a team. We worked hard every day in practice, staying after late, coming early, putting our hearts into every single moment we were out there." 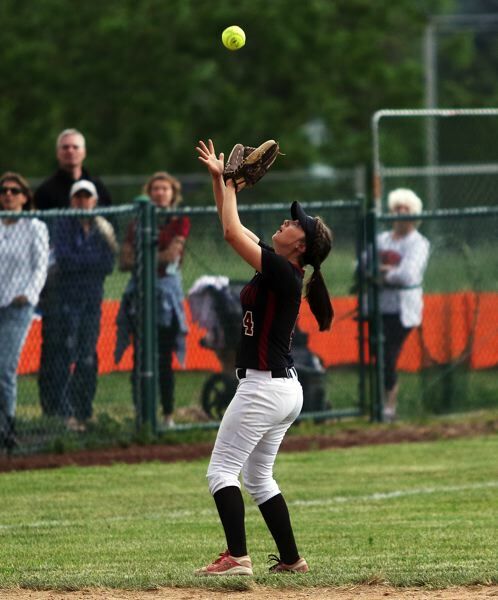 Tualatin, in Friday's game, grabbed a 1-0 lead in the bottom of the first inning — thanks to Johansen. 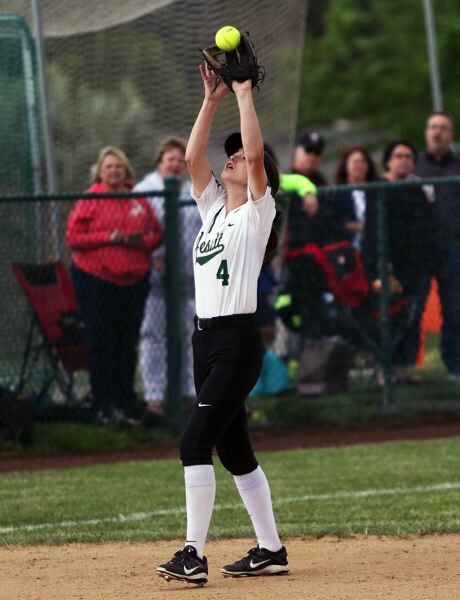 The left-hander blasted a towering, deep, opposite-field home run way over the fence in left-center field to give the Wolves their quick advantage. 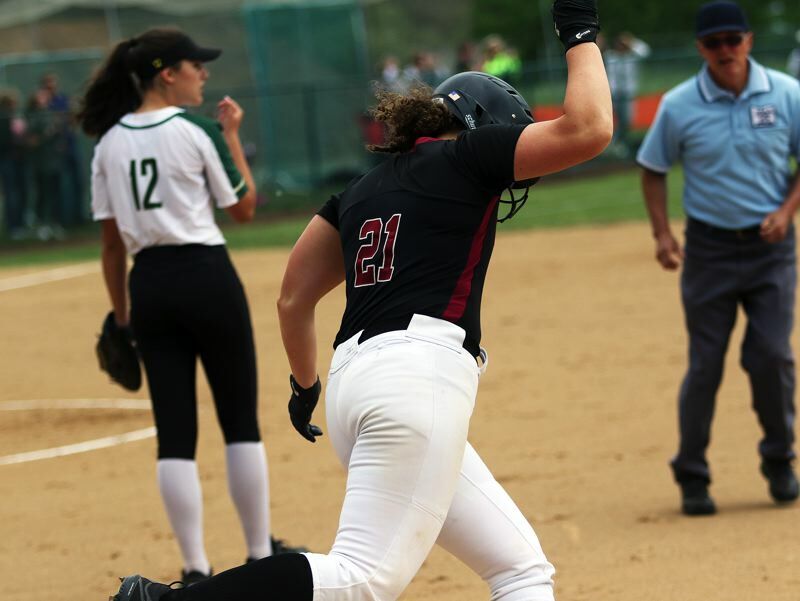 "That felt awesome," said Johansen, who was intentionally put on base in each of her next three plate appearances, including in the bottom of the third inning, when there were no outs, and already runners on first and second. "Yeah, I knew after I hit it that it was going to be good. It was one of the few times I didn't make a great effort going down the line." And, as impressive as the home run was, for the Wolves, the important thing was that it gave them the early lead that they wanted. "We always set a team goal," Olivera said. "To score first was our big one today." "We knew that it would be a fight, and to strike first was big," Johansen said. That run proved to be key, as Jesuit answered right back in the top of the second inning. 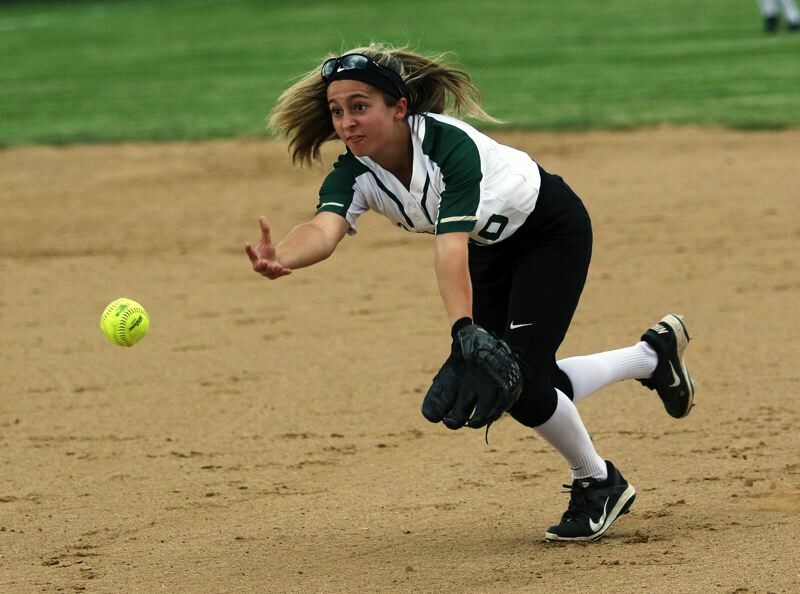 Freshman Madison Mayhew got things going for the Crusaders with a one-out line-drive single to center field. One out later, senior Ashley Renda doubled to left field, driving in Mayhew to tie the game at 1-1. Tualatin was able to regain the lead in the bottom of the third. Sophomore Bella Valdes, leading off the frame, drew a walk. Hillier followed with a bunt single. Johansen was the issued the free pass, loading the bases with no outs. 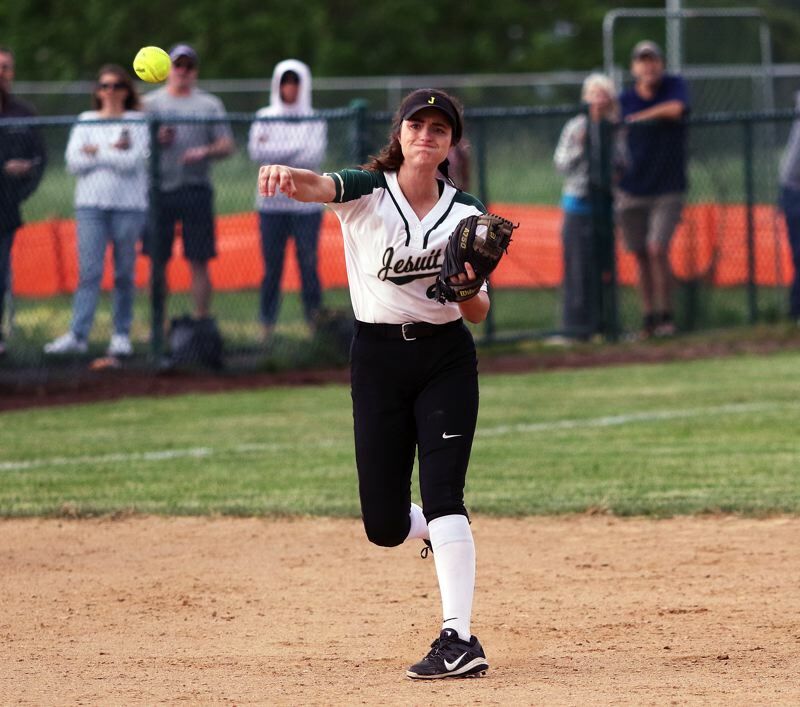 Then, following a pop-out and a fielder's choice grounder, with Tuck throwing out a runner at the plate, freshman Taylor Corcoran ripped a line-drive single to left field, driving in senior courtesy runner Kayla Laird, giving the Wolves a 2-1 lead. 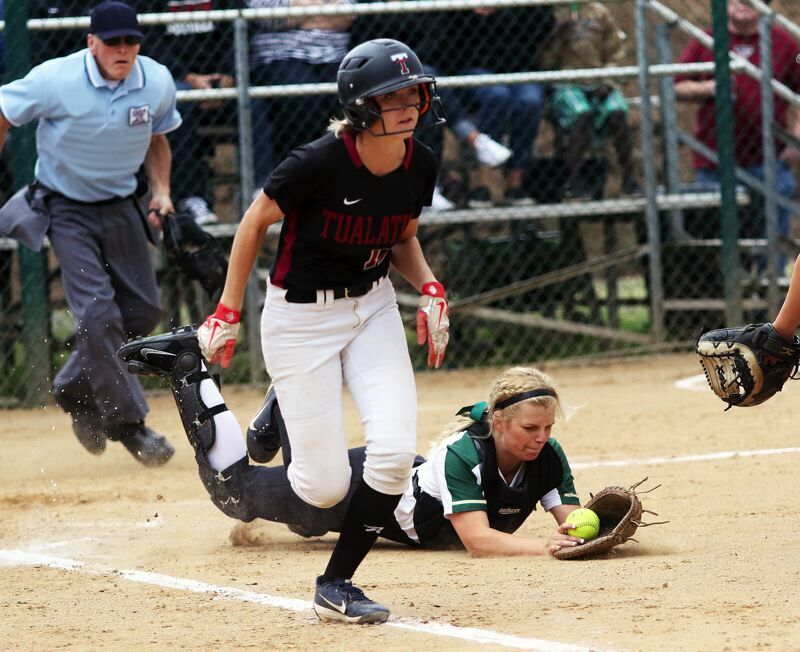 Tualatin kept the 2-1 advantage until the bottom of the sixth inning, when it was able to strike again. 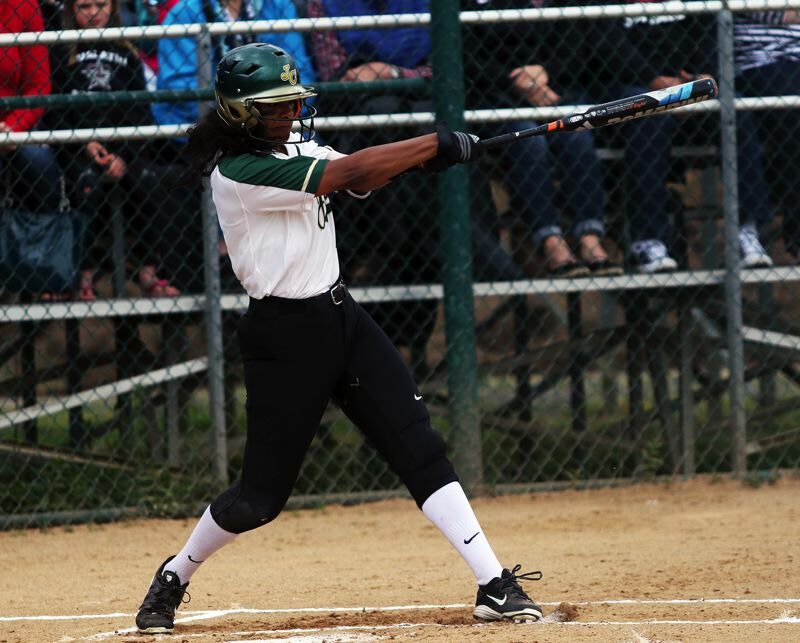 Hillier provided the spark, swinging at a high pitch and connecting for a single to right field with one out in the frame. The, after Johansen was intentionally put on base again, senior Taylor Alton walked on a 3-2 pitch, loading the bases. Olivera was then hit by a pitch, bringing in Hillier from third base, making the score 3-1. "I get hit about once a game," Olivera said with a smile. "I wasn't upset." Corcoran then hit a fielder's choice grounder, with Olivera being put out at second. But Johansen scored on the play, upping the margin to 4-1. And those two runs turned out to be important, as Jesuit came battling back in the top of the seventh. Tuck doubled to left field to lead off the inning. Mayhew then doubled to left field, driving in Tuck to make the score 4-2, while also brining the potential tying run to the plate. "It was a little shaky at that point," Olivera said. "But we had faith." "We had faith in our pitcher and our defense," Johansen said. 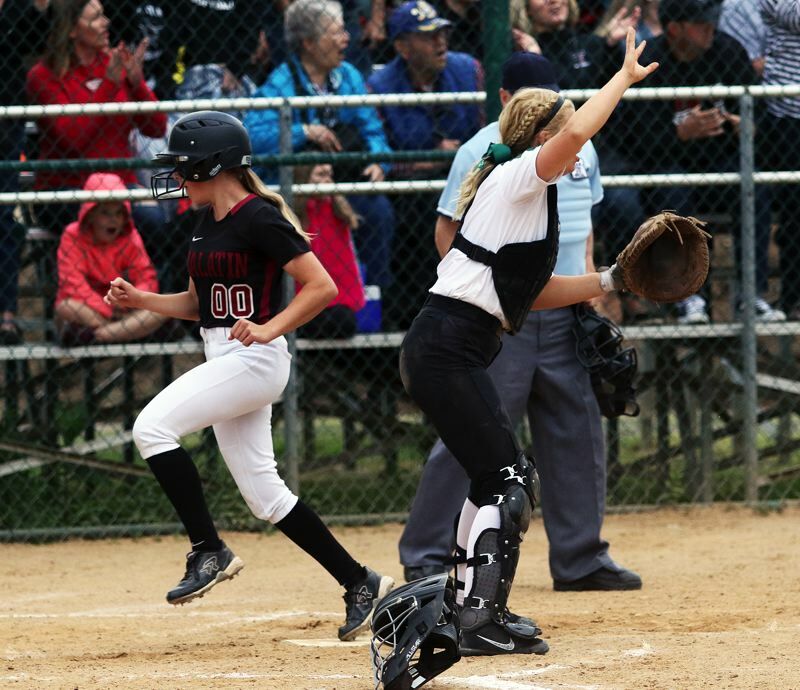 Megan Woodward, Tualatin's senior pitcher, then got a groundout to Valdes at shortstop, with Mayhew advancing to third base on the play. Renda the ripped a line drive down to the left side. But Alton, Tualatin's third baseman, snagged the ball in the air, and then beat Mayhew back to the base for a game-ending double play. "That was crazy," Johansen said. "That was a huge play." "This was one of my favorite games all season. This, and the Tigard games," Olivera said. "The crowd really helped us bring the energy." "And credit to Jesuit," Hiller said. "They were loud and kept battling." 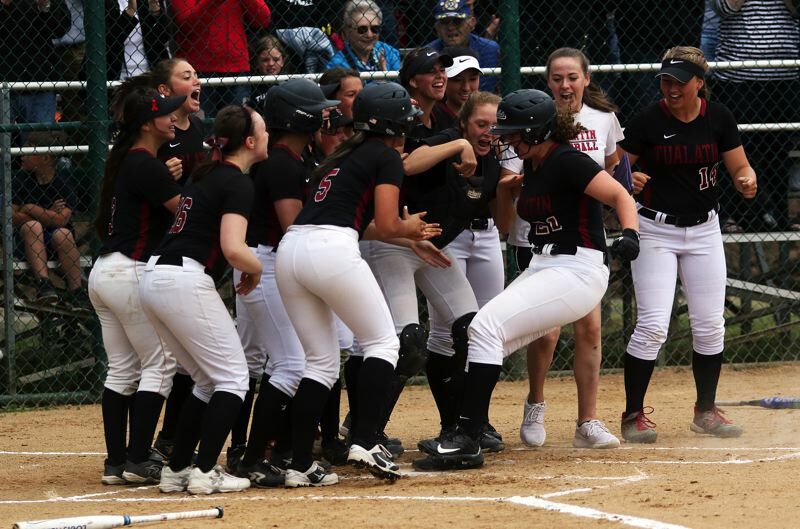 Tualatin, as a team, had nine base hits in the contest. Hiller went 3 for 4 at the plate with a run scored. Corcoran went 2 for 4 with two RBIs. 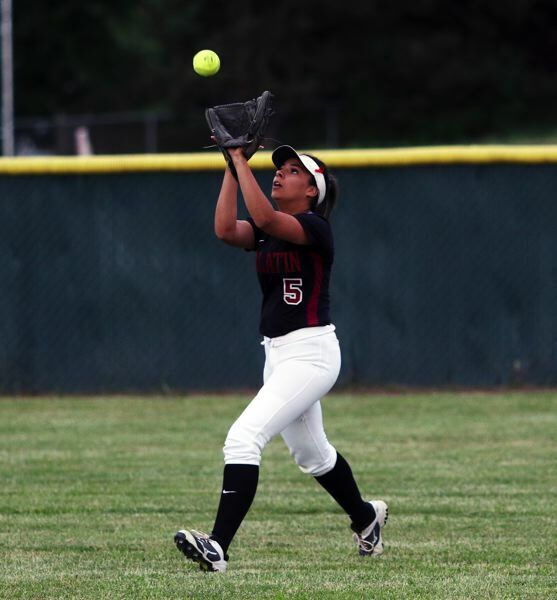 Junior Andrea Gomez went 2 for 4. Johansen and Olivera had the other hits. Woodward, in getting the pitching win, gave up two runs on five hits, while striking out six and walking none. For Jesuit, Mayhew went 2 for 3 with a double, a run scored and an RBI. Renda, Tuck and junior Sammie Petitt each added a double. 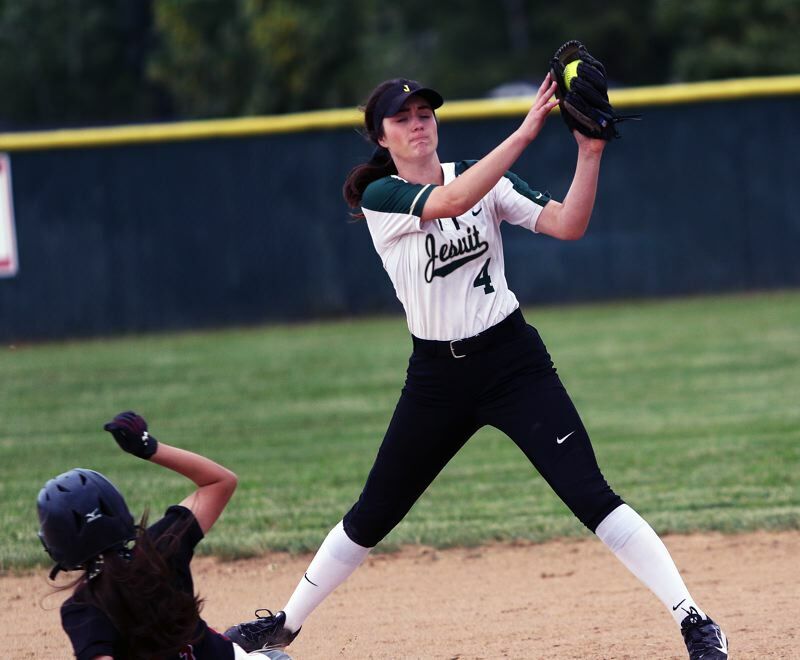 Jesuit senior pitcher Olivia Strickland gave up four runs on nine hits, while striking out nine and walking five (three intentional). "We wanted it so bad. We started getting hits, but it just wasn't enough at the end," Tuck said. "We played our hearts out, they did, too. They're a very good team. They have good pitching, and good fielding, but we were able to keep battling. We battled and did our best. The outcome wasn't what we wanted, but we put our hearts out there, all of us sisters." The loss marked the final high school game for Jesuit seniors Jenny Marnin, Britney He, Renda, Tuck, Annalisa Williamson, Grace Lyle and Strickland. "Us seniors, we just put out hearts out and did everything we could," Tuck said. "We tried our best. All four years we did our best. We got a state title our sophomore year, and I'm going to miss these girls so much." Oregon City, the No. 3 team out of the Mt. Hood Conference, and the No. 5 team in the OSAA power rankings, brings an overall record of 24-5 into Tuesday's semifinal game. 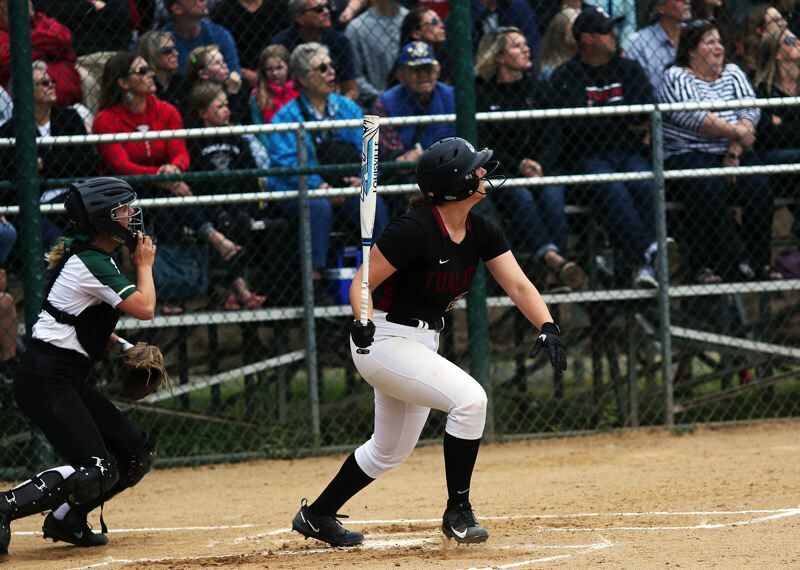 The Wolves and Pioneers have already met once this season, with Tualatin getting a 7-2 win in a game played April 2 at Oregon City High School. "It will be a close game," Hillier said. "We beat them earlier, but we know they've grown since then." "It should help going against a fast pitcher today, because it will be another fast pitcher," Olivera said. "We just need to keep it going with good pitching and tight defense," Johansen said. 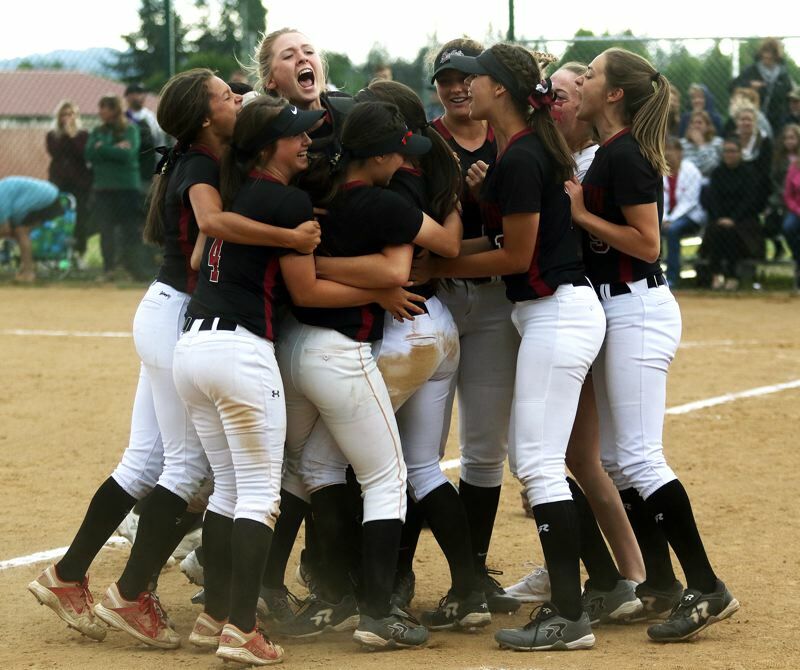 The winner of Tuesday's semifinal game at Tualatin will play either North Medford or Clackamas in the Class 6A state championship game, which will be played June 2 at the Oregon State University softball complex in Corvallis.